There we go. This is really all that I wanted when this C8 odyssey started a month ago. Just took a quick look around before it got too dark. Venus, Mars, M42, and a little out of focus star checking. It does have a pretty flat field all of the way to the edge. Just wanted to make sure that it arrived alive. I'll check it in more detail next time. 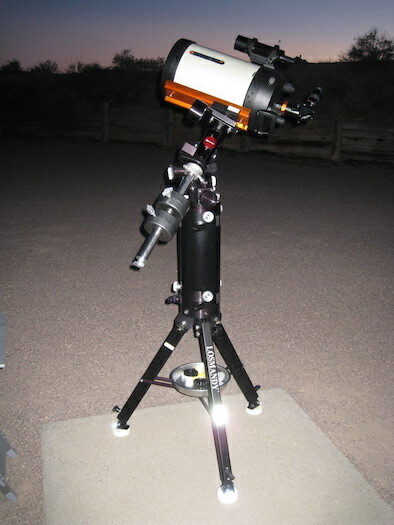 This telescope's name will be Bates. Not like the actress Kathy Bates. It came from Astronomics, Inc. in *Norman*, Oklahoma.